Great rental investment in the coveted Four Seasons neighborhood of Duck! Recently reduced and great return on investment! The premier community of Four Seasons is conveniently located in Duck Village and walking distance to all the quaint shops, restaurants, and boardwalk in Duck AND provides the ultimate package of impressive amenities including tennis courts, indoor and outdoor pools, spa and fitness center, trolley service in-season, and direct beach access with parking! 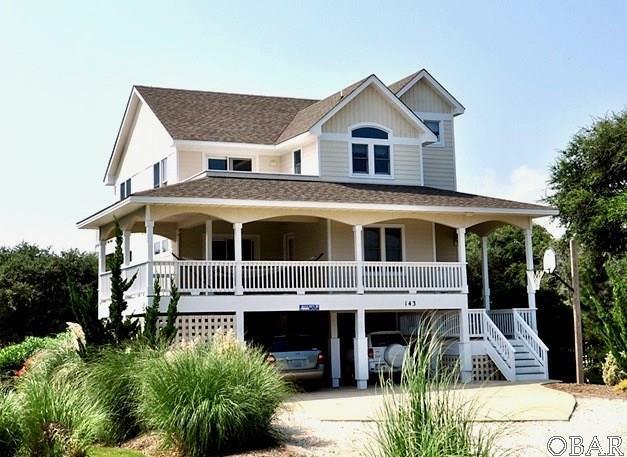 Just a short walk from the beach, this home has a walkway that connects directly from the backyard to the main beach walkway! The home has 6 bedrooms total, 5 of which are masters, a reverse floor plan with kitchen and main living area upstairs giving you great views, and another living area and gameroom/kitchenette on the first level. The ground level opens to a gated private outdoor area with the private pool and hot tub. With so much to offer, this home would be a great addition to your investment portfolio!